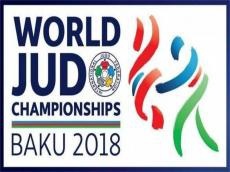 International Judo Federation (IJF) has announced the names of the TV channels that will broadcast the world championship in Baku. CNN, Euronews, BBC TV channels will be available among the major TV broadcasters. The audience coverage will achieve record this year. The championship will be available in more than 190 countries. Also, 86 countries will be able to watch championship directly through their own TV channels. The prestigious competition will be broadcasted through AZTV (Sport Azerbaijan) and CBC Sport on the territory of Azerbaijan. The 2018 World Judo Championships will be held on September 20-27 at Baku’s National Gymnastics Arena. The World Judo Championships is the highest level of international judo competition, along with the Olympic judo competition. The first edition of the world championships took place in Tokyo, Japan in 1956. The championships are held once every year, except the years when the Olympics take place. An Olympic sport, Judo is quite popular in Azerbaijan among both men and women. Azerbaijan Judo Federation was established in 1972. Since 1993, Azerbaijani fighters were among the winners at Junior European Judo Championships.